I've tried to make one thing very clear over the years. I. Love. The. Skincare. Line. First Aid Beauty. Seriously, I don't think I've ever gotten so many compliments on my skin (including multiple cases of being mistaken for a teenager IN MY THIRTIES) than I have when I use the miracle-working products in this line. I really can't say enough wonderful things about every product I've tried, from the complete Dual Repair Collection to the "fab" bestselling Ultra Repair Cream. Facial Radiance Overnight Mask: The newest addition to the Facial Radiance Collection is this gel-cream face mask, which is formulated with echium seed oil, glycerin, an antioxidant booster and more to hydrate and nourish the skin. Facial Radiance Serum: I'm always a fan of serums, and this one, which contains licorice root, chromabright and Vitamin C to address uneven skin tone and dark spots, doesn't disappoint. Facial Radiance Polish: Natural exfoliants including shea nut shell powder and willow bark extract buff and polish the skin and reveal a smoother, brighter finish. Facial Radiance Pads: A combination of lactic and glycolic acids, cucumber, Indian gooseberry, lemon peel and licorice root work to tone the skin and leave it looking gorgeously glowy. And they're perfect for even the most reactive skin (trust this sensitive-skinned beauty chick on this one). This giveaway has a retail value of $136. To enter, use the Rafflecopter widget below. Good luck! I'm most excited to try the Facial Radiance Overnight Mask! The facial radiance pads are amazing. I'm excited for the Facial Radiance Polish, hoping it will help with my dull dry skin. I really like this line I've gotten samples in the past and they work really well. I am most excited to try the Facial Radiance Overnight Mask. Radiance Overnight Mask!!! I love facial masks. I would love to try the radiance polish! I love FAB!! Dying to try the mask! 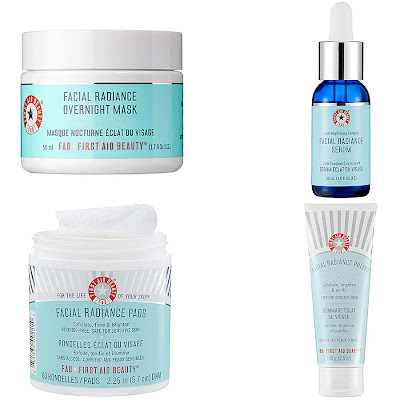 The facial radiance overnight mask sounds aaamazing!!! 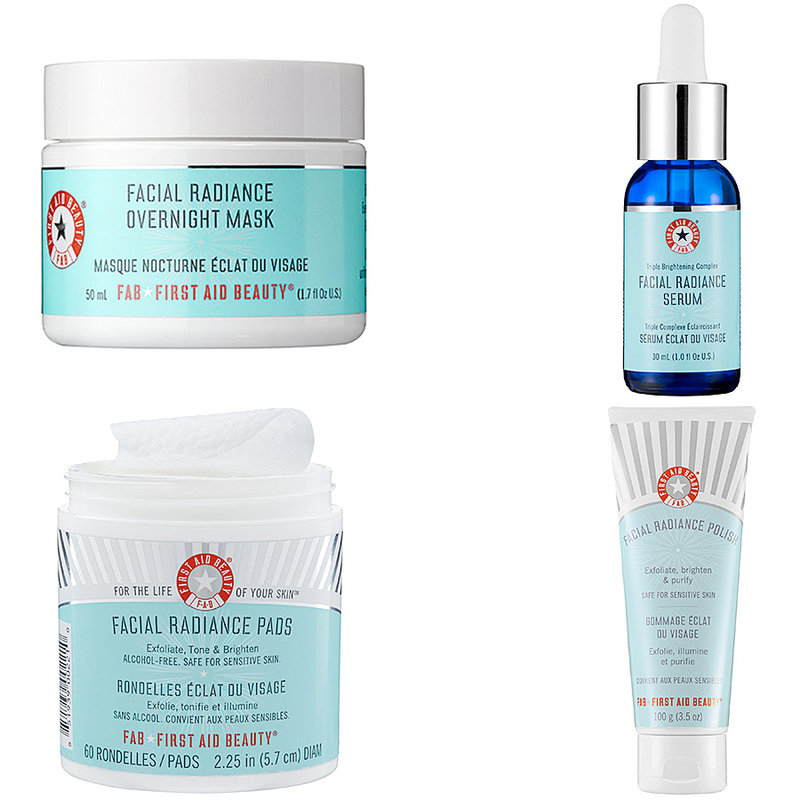 I'm most excited to try the Facial Radiance Serum - I'm on the hunt for a good serum. Maybe this is it! Radiance pads! I'm running low on mines already! Oh, could you also review Vain Pursuits by the way? Would love to read what you think of them! The Radiance pads! I'm running on mine already and need replenishment! Could you also review Vain Pursuits? I'd love to hear what you have to say abt their skincare products! I've heard of Vain Pursuits before! Read a review on them somewhere, thought their concept was quite interesting actually but have yet to try them out! At this time I don't have anything on Vain Pursuits slated as that's not a brand in my rotation, but if that changes you'll be the first to know! Facial Radiance Pads. I need something to not exacerbate my rosacea. I think, probably, the overnight radiance gel mask. I'm really interested in the mask! !